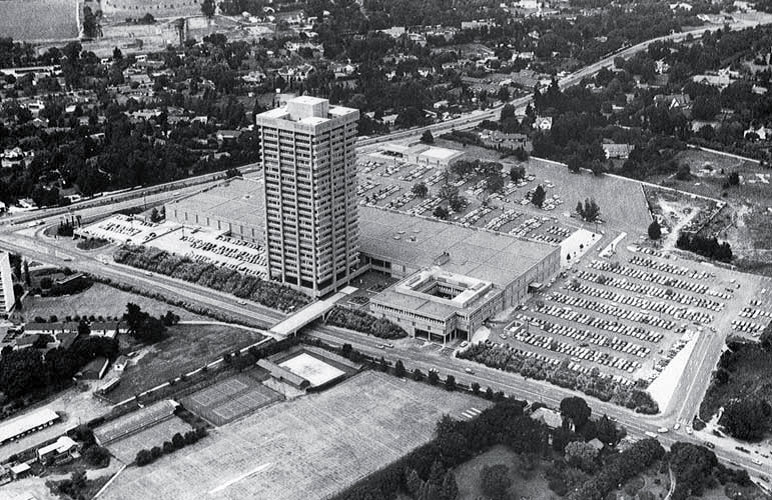 The catalyst for Sandton’s dramatic growth was Sandton City shopping centre, which opened in 1973. “In economic circles, the attractiveness and economic health of an area is measured by a simple guideline – the number of cranes which can be seen on the skyline. Right now, the Sandton Central skyline shows an impressive cluster of cranes,” says Elaine Jack, City Improvement District Manager for Sandton Central Management District. So, it may be difficult to imagine that less than 50 years ago Sandton didn’t exist in name - where it stands today was largely a farming and smallholding community. Sandton was promulgated in July 1969 and “at that time there were about 30,000 whites in the town and 15,000 horses”, according to former town planner Barry Bristow. And, while scarcely populated in the years before that, it has a rich, albeit largely uneventful, early history. Greater Sandton’s first residents were middle stone-age hunters who arrived around 30,000 years ago, establishing communities on the granite outcrops of Witkoppen, Lonehill and Norscot Koppies. About 10,000 years ago ancestors of the San people settled. Then, around four centuries ago, Bantu-speaking communities of the iron-age inhabited the rocky ridges of the area becoming Sandton’s first industrialists, with an economy based principally on agriculture and metalwork. The first settlers moved to Sandton after Britain annexed Natal in 1843. Every original Voortrekker male settler who came to the South African Republic (later Transvaal, now Gauteng), was entitled to a farm of his own. Sandfontein was the farm area around Sandton. The Esterhuysen’s were a well-known Voortrekker family who lived on the farm Sandfontein, close to where Sandown High School is today, on the corner of Grayston and Rivonia drives. A wave of urbanisation in the 1930s was driven by widespread poverty in South Africa as the world suffered one of its worst economic depressions. 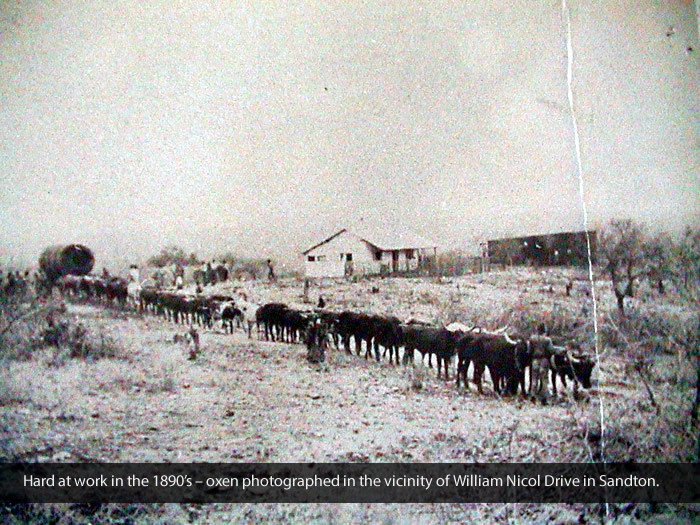 Many people abandoned rural lifestyles for opportunities in the industrial Witwatersrand. The ‘Southern Suburbs’ of Sandton were laid out quite early in the century and by the thirties they were well established as ‘gentleman estate’ areas with most of the properties being one morgen or larger. At this stage they formed the ‘northern’ suburbs of Johannesburg and in some cases extended beyond the boundaries of the city. The rural ‘horsey’ lifestyle of Sandton led to the area being dubbed the ‘Mink and Manure Belt’ and it was considered a desirable address. During the 1940s and 50s Sandton became increasingly residential and wanted independence from the government’s Peri-Urban areas Health Board, which had control over services such as water. The local population regarded themselves as an entity separate from Johannesburg.The first moves by Sandton to achieve independence from Johannesburg go back to the early sixties. When it was eventually promulgated as a municipality in 1969, its name formed from a combination of the names Sandtfontein, Bryanston and Sandown. The first few years of Sandton’s existence were dominated by the question of whether Sandton should remain a quite semi-rural dormitory town or be a more balanced entity with significant business and higher density residential components. Bristow reports that it split the town council apart. 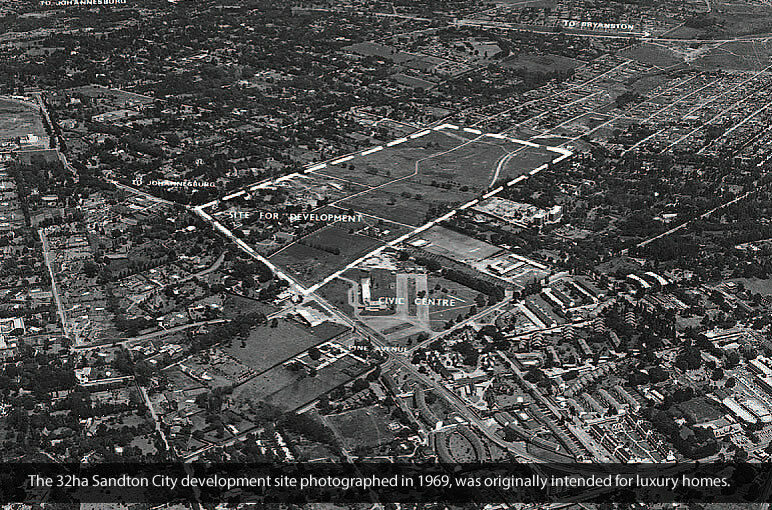 In 1956 the Peri-Urban board had bought some large tract of land for municipal purposes – one of these being the 11 ha site in Sandown where the Civic Centre now stands. Of this, 3.4 ha was sold to the Transvaal Provincial Administration for the building of Sandown Primary School and in 1965 the land directly south of the Civic Centre area was allocated extensive retail and flat rights – the land then belonged to Mr Bob Edmunds, the chairman of Standard Bank, and was sold to property developers Rapp and Maister – now Liberty Properties – in 1968. The first step in transforming Sandton from a farming community to a bustling business district came with Sandton City, which was developed and constructed by Rapp and Maister on this site during the early 1970’s, opening for trade in 1974. The rush of commercial space began in the mid to late 1980’s when land in Sandton was cheaper than that in the Johannesburg CBD and could also offer a lifestyle with rolling lawns, fountains and low-density, affordable-to-own office space that could not be accommodated in the CBD. The council agreed to approximately 200,000 square meters of office space – today the figure for central Sandton alone stands at more than 1.5-million square meters and is still growing. Sandton is the second largest office node in South Africa, hot on the heels of the Johannesburg CBD. It has exceptionally high proportion of prime quality office space. Sandton Central is also said to be the epicenter of green building in Africa with what is possibly the highest number of certified green buildings of any business district. Unarguably, it is home to some of the continent’s finest contemporary business buildings. Yet, even with its rapid development and new office and apartment towers on the rise, there are still charming traces of Sandton’s relatively brief modern history to be found, like ‘the little church under the pines’ in Stella Street, Sandown, right behind 138 West Street diagonally across the road from the Sandton Gautrain Station. It was the first church in the district, inspired by Anna Notten (nee Wierda) who arrived with her parents and three sisters from Holland in 1887. Her father Sytze Wierda, was a distinguished architect who designed Amsterdam’s central railway station and was recruited to organise the public works department. The interdenominational church’s cornerstone was laid on 11 July 1925. 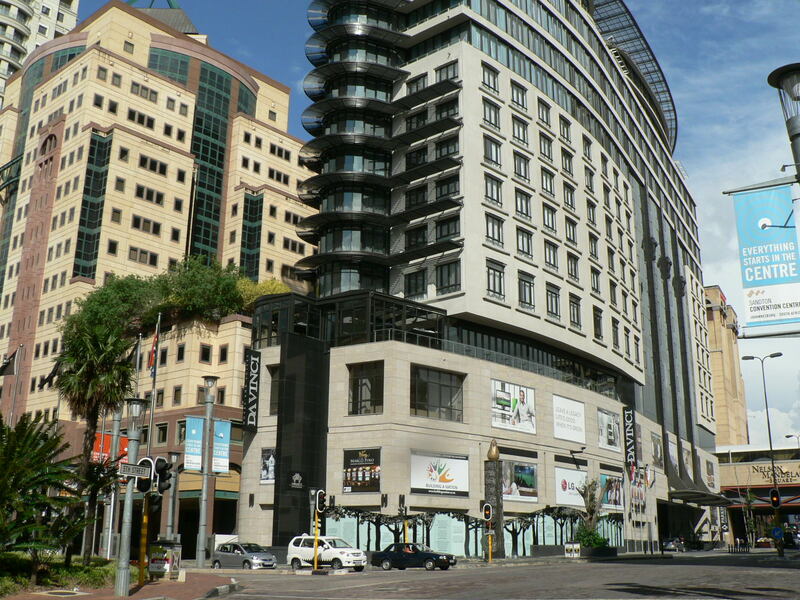 Today, it stands among Sandton Central’s bustling high-rise buildings.